Works with Scosche Rhythm+ Heart Rate Monitor Armband. This is just a charging cable, can not use as a data cable. COMPATIBILITY: Replacement Charging Cable for your precious Scosche Rhythm+ Heart Rate Monitor Armband. POWER PROTECTION: Protect your Heart Rate Monitor from over chargerd. PLUG AND PLAY: Seamlessly charge your Heart Rate Monitor on your PC USB charger. Safety and stability. 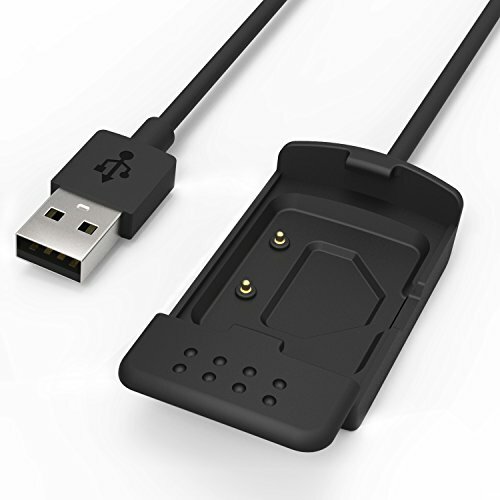 This is just a charging cable, can not use as a data cable. Accessories ONLY, Heart Rate Monitor not included.